When you’re planning to purchase a car, you will evaluate various aspects. Only then, will you finalise the deal. Similarly, when you’re the salesperson trying to engage with a customer, you’ll need to be a few steps ahead of the customer. You’ll need to know what the customer wants. In addition, you’ll need to know how to engage effectively with the customer to close the sale. You can certainly hone your sales techniques with time. However, it pays to ensure that you start your career on a good note. The best automotive courses online could help you achieve this. You might have come across pushy salespersons who simply turn you off. If you were to behave in a similar manner with your customers, you can be sure that you won’t be heading the sales performances list. This is why it pays to step into the mind of the customer. You’re aware that you need to get the customer to purchase a specific car. At the same time, because you know what the customer wants, you can use your knowledge to meet the customer’s explicit and implicit needs. Knowing how to control the sale process is an important skill to possess if you’re a car salesperson. This is exactly what many automotive courses online help you to acquire. 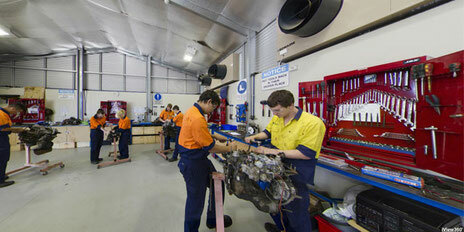 At the Australian Salesmasters Training Company, we offer the best automotive training packages. The Certificate II program (AUR21112) and the Certificate III program (AUR31012) in automotive sales are ideal if you want to further your career in the automotive field. Acquiring these skills from accredited and experienced facilitators will only enhance your expertise in the area. For more details, call us at 02 9700 9333.